.:. 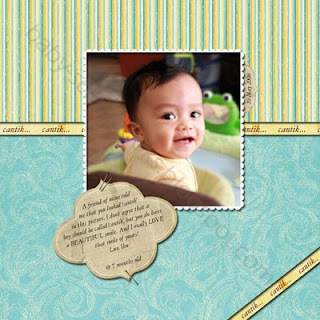 Scrapbooking ur BaBy's Precious Moments .:. I wonder if a father has to do all the tasks that a mother has to do? Will he be able to cope? Will he be able to continuously do the same tasks every single day, without complaining? Will he wake up earlier than everybody else in the house so that he can prepare breakfast, pack kids' clothes and lunches for nurseries/schools, wake the kids up and send them off to nurseries/schools, go to work, pick the kids up after work, stop at the grocery store to buy stuff to cook for dinner, cook dinner and do laundry at the same time, clean up, spend time with kids, fold clothes, prepare kids for bedtime, and be the last person to go to sleep! The list is actually even longer than that. Can fathers do all those? Hmmm... I wonder how long they will survive. I realize I haven't been keeping my words to update this blog on a regular basis :) And I haven't been scrapbooking for a while, well probably not a while, it's been quite some time. The last time I did one was when my son turned 2 and he's a year older now! Wow, time flies really fast! Anyway I was browsing for 'scrapbook sketches' just now and found quite a number of interesting sketches that can be used to plan each scrapbook page. I personally love to have layout sketches before starting the actual scrapbooking process. The main reason is that having sketches help me make more efficient use of time when I actually get around to scrapbooking. It also helps in reducing the risk of needing to waste materials or scrapbook supplies just to visualize an idea. Good thing is that you don't really have to come up with your own sketches. You can simply 'google' using the correct keywords (e.g. scrapbook layout sketches), and voila! You will see lots and lots of links to click on! For people who love scrapbooking but always get stumped when it comes to finding a creative sketch, here are some useful sites which provide lots of interesting sketches. and many more will be provided by Mr. Google! ... and here's the resulting page! 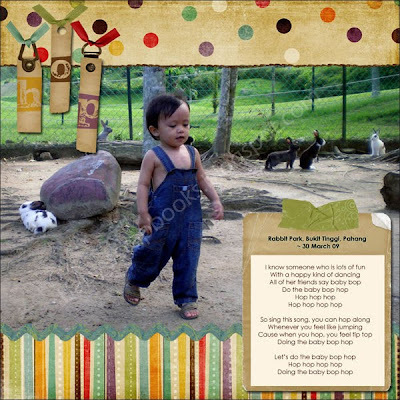 Smidapaper - supplies, ideas, tips, inspiration, everything :) Based in Penang. Craft Haven - I always make sure that I visit this store whenever I go to One Utama. Not much info on the website though. Physical store is much better. 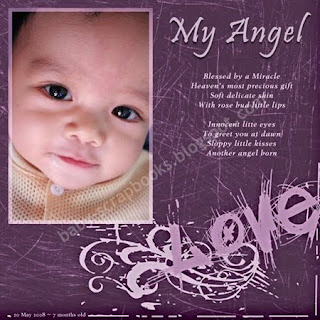 ShabbyPrincess - not a Malaysian website but is easily accessible though :) I downloaded most of the digital scrapbooking kits that I used to design my personal scrapbook pages from this website. Really cool collection! Gotta go now. Will keep updating this list. I've been quite busy lately. Anyway I'm hoping to start an online directory which will list all scrapbook suppliers in Malaysia (online or offline). Also any personal scrapbookers who would like to submit their blogs or websites to be listed in the directory. Will start soon... InsyaAllah. It's been quite some time since I last updated this blog. In fact, quite a long time ago! 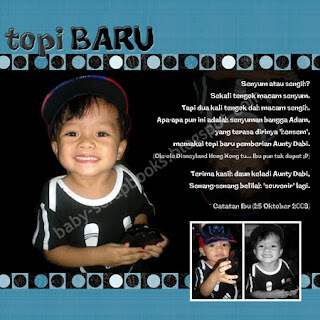 Been busy with work, my son, my newly set-up online biz and life, in general. I'll try to update this blog as often as possible from now on. 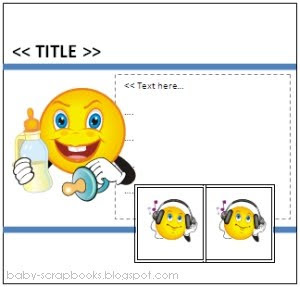 A BIG thank to ShabbyPrincess for the great selection of scrapbook papers, embellishments, alphabets, etc. All can be downloaded FOC. Craft Haven™ - Something for Everyone! All personal images shown on this blog are copyrighted property of the blog owner. Theme images by Ollustrator. Powered by Blogger.